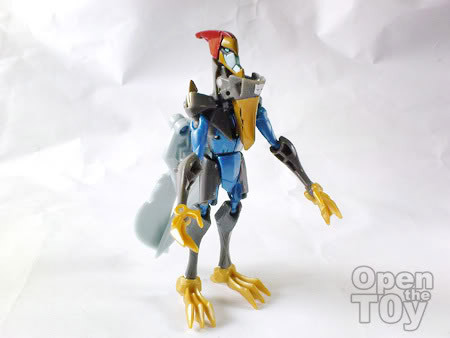 It had been sometime since I review Transformers Animated toy. 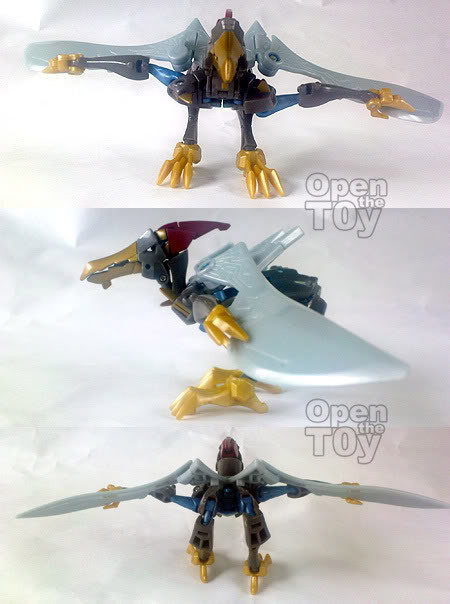 So over the weekend spend sometime to review another Autobot Dinobot, Swoop. 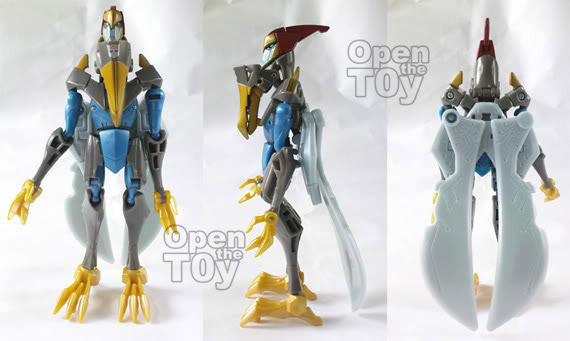 It is quite a popular one for a Deluxe class and it's not surprising as I really like his bird design. Okay cut the talk short, on with the review. 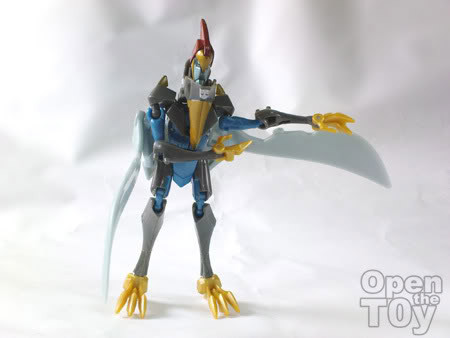 Meet Swoop, the first of Autobot/Dinobot who can fly in animated series. 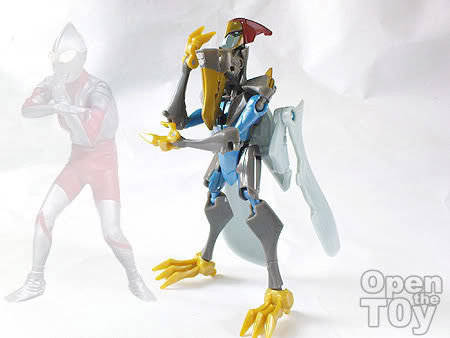 Swoop is a Pteranodon and with his wings which can flap, it is one terrific toy for playing. The mouth can be open and close too. In flight mode, it look magnificent and graceful. Everything looked very much streamline. The Transformation is really simple. You can't get it wrong. Straighten the legs to a standing posture. 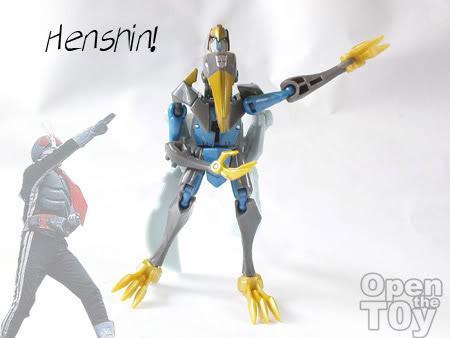 At this pose, it look like secret Alt mode which I really fanny. Next just simply bring down the head and there you have it. 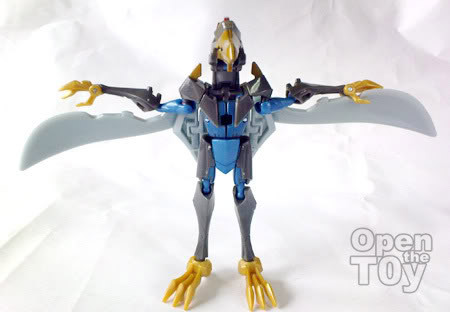 Swoop look good in this mode too. Slim and fit all around. 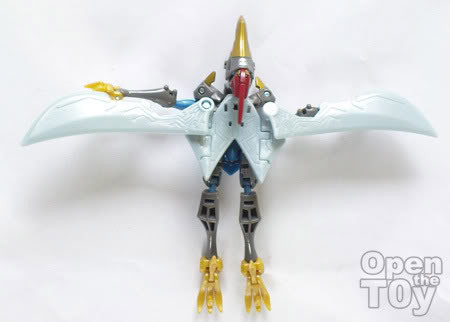 The wings are gracefully folded at his back. 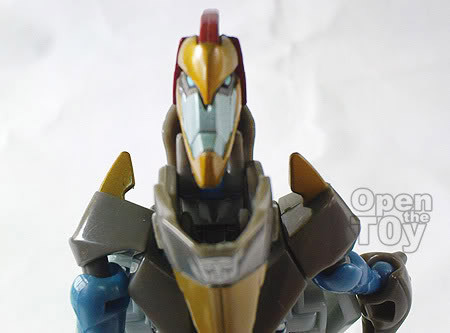 Swoop's face looks kind of Grim than cool to me. However since he never get to speak, that looks fit him well. 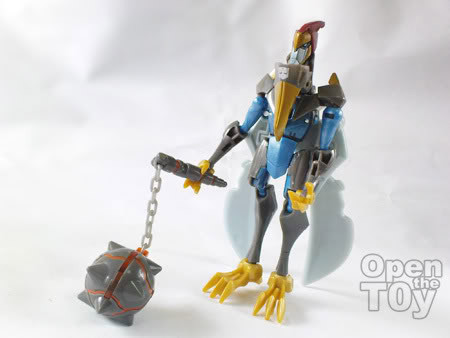 Every dinobot had a weapon, so does Swoop. The designer gave him a morning Star. 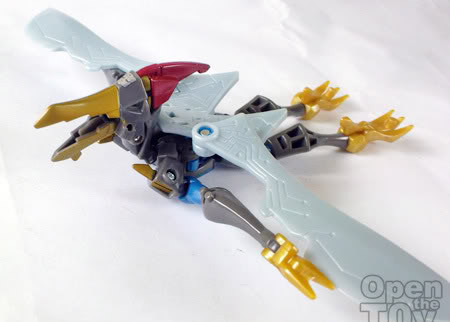 It look better than Snarl's weapon. Does it really look fitting to him who have a skinny body? Logically the thin hands does not looked so powerful... And you can only carry the weapon in robot mode. 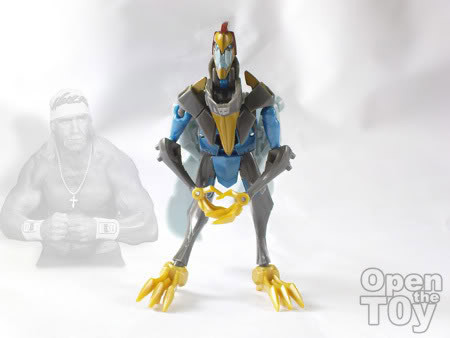 So how flexible is Swoop as an action figure? Let's put Swoop to the test. Take a bow Swoop and show us what you can do. Oh! 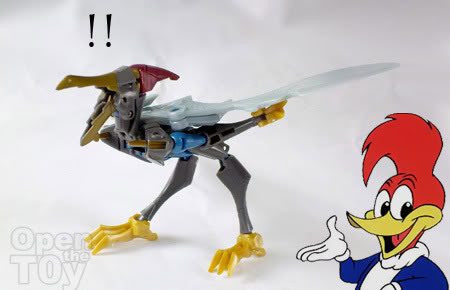 He can also do the Baramut in Final Fantasy with fireball coming out of his mouth beak too! Awesome! 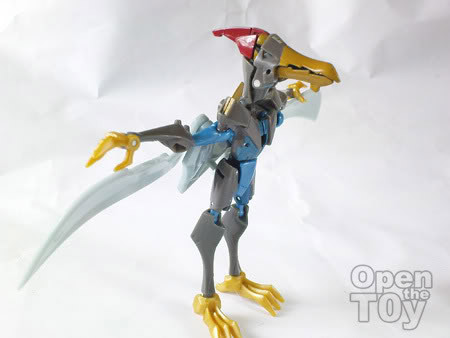 Isn't Swoop a cool toy? 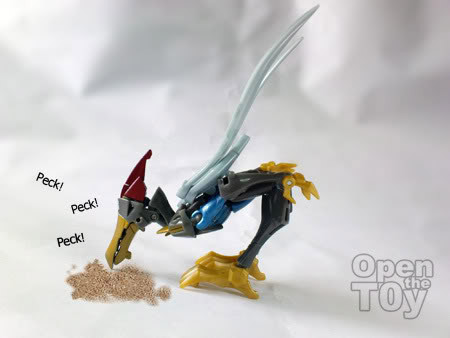 Swoop...What are you doing? 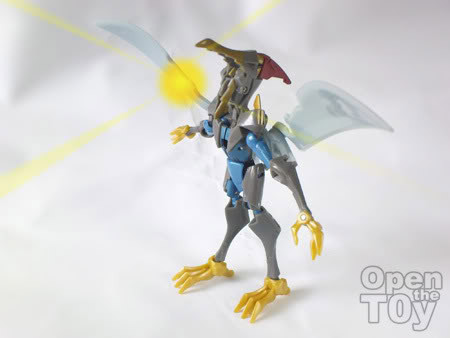 I guess that is why he is a non-talking Dinobot... Too Primitive...but strong in flight and fight. In closing, this recent chinese proverb comes to mind. Cool! I love the way you came up with the various poses and did the comparisms! Thanks. :) oh the Dino Riders! I nearly forgot that cartoons. You have a picture of the toy? Creative and funny presentation of your newly acquired transformer. Looks very interesting..Keep it up! !